While number of homepages is growing up with exponential speed, only a few years ago search engine owners started to pay attention to blogs as different media type comparing to regular web page mostly owned by companies or indented to describe event, product or politics. In opposite, blogs mostly represent its owner personality, attraction, humor and knowledge depth and since blogger makes significant society (making virtual friendships), it can be observed as significant force in forming of view. More over – bloggers are mostly private persons and does not represent some commerce, thus allows blog visitors to get acquainting with numerous of individual experiences and views in minutes. Imagine, if you would not be familiar with iPhone, how long would it take to ask all of your friends what do they think about it? While Google launched Google Blog search designed to search within blogs only in 2005, Technorati realized blog power significantly earlier in 2002 and at the beginning of 2006, Technorati indexed about 27.7 millions of blogs and looks is the first engine that started to index MySpace blogs. At mid of 2008, Technorati already indexed 112.8 milions of blogs excluding huge number of other social media pieces. Dave Sifry is owner of Technorati is American software entrepreneur and blogosphere icon. At his 10, his dream was to create his own company and move to Silicon Valley. Another significant person in Technorati is Tantek Çelik. He has Turkish – American origins and is Chief Technologist at Technorati. 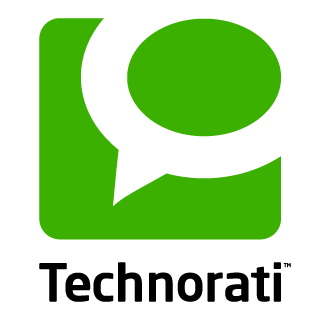 Well, what is Technorati? From the first view, Technorati is very similar to digg.com providing post tagging, ranking and rich search. So, I am about to jumt into all this stuff. Here is www.iinuu.eu claim code - DQ3QYM7BVQFV. Note, this code is required in order to precede claim process. If you are using wordpress, keep in mind, to place code assigned by Technorati in excerpt, so it is visible in RSS feed as well.